How Easy is the Delonghi Magnifica to use? Will it make my favourite types of coffee? 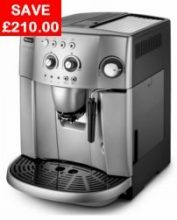 Where is the cheapest place to buy the Delonghi Magnifica ESAM 4200? 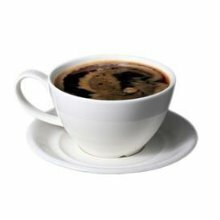 Can you fit an “average” mug or does it have to be a cappuccino/espresso size cup? Is the Body or Casing stainless steel or aluminum mold or is it plastic? Can you modify the temperature of the coffee? What is the max amount of Coffee the DeLonghi ESAM 4200 coffee maker can brew into one cup? If you are looking for an excellent coffee making machine, you should include the Delonghi ESAM 4200 in your list. 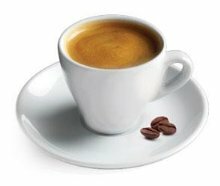 The machine is capable of producing a steaming hot cup of espresso in less than five minutes, and you can choose either to have a strong cup of espresso or just a moderately mixed cup of coffee. The Delonghi Magnifica ESAM4200 is a bean-to-cup automatic espresso machine that also takes ground coffee or ESE (Easy Serving Espresso) pods. It has the professional 15-bar pump pressure, which you would expect of a machine in this price bracket, along with a built-in burr grinder with seven adjustable grind settings so that you can select the best one for your chosen grade of coffee bean. There is a traditional stainless steel milk frothing arm and also a double boiler system which enables you to steam your milk at the same time as your espresso is brewing. It can make two espressos at once. 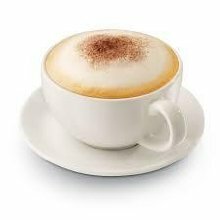 The Delonghi ESAM 4200 features a one touch system so you simply have to press one button and the process starts. First fill the 1.8L water tank and put the beans in the grinder. 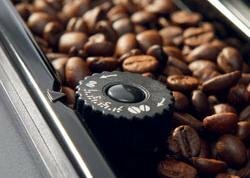 Press a button and the process starts with the grinder grinding just the right amount of beans to your chosen coarseness, the ground coffee then gets tightly packed before water is pushed though it at 15 bar pressure and the coffee is poured into your cup with a lovely crema layer. You can adjust the settings to allow for more or less water and coffee so you will need to carry out a bit of trial and error until you get your perfect coffee. With the machine having an automatic timer, if you have a set morning routine you can have your machine up and running automatically around the time you wake up meaning that just one button push will have your drink tailored to your specific taste. If for example you want to produce a 50-60ml double shot of espresso, first try and get the amount of water right. Set the coffee strength to around two thirds and set the water quantity low. Tweak this until it is producing the desired 50 or 60ml – you will need to use a small measuring jug to check this. Next set the grinder to around 4 and time how long the coffee takes to pour. A double shot should take 20 seconds. If it takes more than 20 seconds then the grind is too fine and if it takes less then it is too coarse. Again, keep tweaking this until you get it right. It can be a bit of a faff to begin with but it’s worth taking the time as once you have the settings right you can be assured that you will be consistently getting your own perfect brew every time. One thing to be aware of when using the grinder is make sure you only adjust the grinder setting when it is on, it does say this in the instructions but a lot of people seem to miss it. If you run out of beans or, simply prefer to use ground coffee or ESE pods instead then you just need to change the setting on the control panel and pop in a pod or add your ground coffee to the ground coffee compartment. ESE pods are similar to teabags in that they are a pre-measured serving of coffee wrapped in filter paper, ready to be used in any ESE compatible machine. The main benefit of having a machine that uses ESE pods as opposed to other pod or capsules is that you don’t end up being tied to one particular coffee manufacturer. For example, Nespresso pods are made by Nestle and Senseo pods by Douwe Egberts. ESE pods are made to an industry standard and are available from all the major quality roasters such as Lavazza and Illy among others. You can generally expect to pay around 40-50p per pod. The Delonghi Magnifica is fairly easy to clean. It comes with a removable drip tray and brewing unit to make cleaning easier. There are also automatic rinse and descaling programmes. When you use the steam nozzle just make sure you wipe it clean immediately before the millk has a chance to dry on it. Descaling your bean to cup coffee machine is very important to ensure that you get great tasting coffee every time. The other reason you should descale your coffee machine is to keep it running and working properly. Over time, limescale will build up, which will block pipes and eventually stop the coffee maker from working altogether, so you should try to do this every month to keep on top of it. The good news, is that it is easy to descale your Delonghi coffee maker and to make it even easier, follow the simple instructions in the below video. Yes, it includes a 2 year warranty. I don’t often write reviews, but this machine deserves every good word said about it. I purchased this machine about six weeks ago. 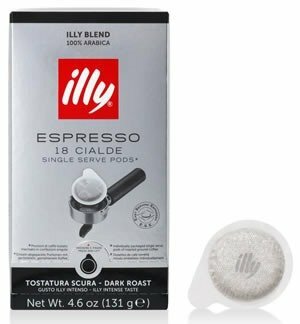 I am impressed by its ability to produce excellent espresso amazingly quickly, no fuss and bother or excessive cleaning. Super coffee maker. 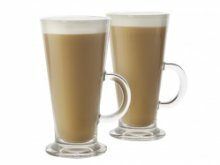 Very simple to use, great results easily altered to suit your taste size of cup etc. All you have to do is find the coffee beans you like! I am so thrilled with this coffee maker. It is simple to set up and to maintain and makes the most amazing drink ever. 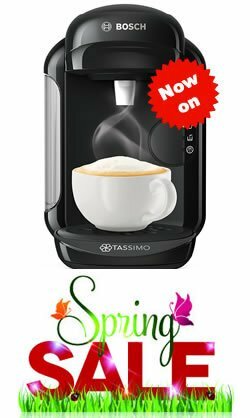 I’m not a pro, but, from the moment that I switched it on, I loved it, very fast heating, and easy, you can use your own favorite beans or ground ones, frothing milk is very easy, it produces about more than treble amount of the frothed milk. I bought this machine because my wife goes to Starbucks every day and spends £5 to £10. I went and bought the Starbucks caramel and vanilla and she can make her own drink the exact same taste for £1 a day. I am saving £25 to £50 a week. Some people have complained about the temperature of the coffee not being hot enough but if you read the instructions thoroughly and you warm up your cup first you shouldn’t have a problem. I recommend pouring boiling water into your cup first to warm it up rather than relying on the cup warmer. People have also reported problems with the grinder but again if you follow the manual and only adjust grinding level when it is on you shouldn’t go wrong. The only other complaint aimed at the DeLonghi Magnifica 4400 that has any substance is that the lever for the steam is made of plastic. Bearing in mind this comes under a fair degree of pressure over the lifetime of the machine they have been known very occasionally to snap off. One of the most common issues I have experienced is when the electric in the house has tripped whilst the bean to cup coffee maker was in the middle of making my coffee. This can cause an issue, as the infuser (brewing unit) tops half way through the cycle and when the electric is turned back on it does not always realign itself automatically. If this happens to you, do not worry, just follow the steps in the video below to realign the infuser and you will have a hot cup of coffee in no time. The mug/cup needs to be less 10 cm high or less, there is also a height adjuster for smaller cups. The body and casing and the majority of the machine are plastic. It’s not a cheap look plastic though. You can, as I’m sure you know spend a lot more and you’re just paying for looks not function, the coffee from this beauty will taste as good as that from a £2,000 digital display memory Jura. BTW ignore the milk frother, just put cup and milk in microwave for 1 minute. With the DeLonghi Magnifica ESAM4200 coffee machine in standby/off mode, press and hold the One cup button until the row of lights come on below. You should see the default of 2 lights is showing. Now press the two cup button repeatedly to select your desired setting out of a possible 4 settings. When set, press the 1 cup button again to save your setting, and the machine will go back to off. If you put one cup under both outlets and select the double cup feature you can get 380ML/13FL ozs. If you put a cup under each outlet it is 190ML.6.5 FL ozs. You can turn the strength of the coffee you make by using the right hand dial. We have ours set a 1 o’clock on the water side and 3 o’clock on the coffee side. This gives us a full mug of coffee at the strength we like.